These times can be flexible with plenty of notice, we will open to suit you, a guide line of £3 is suggested for Brownie spending money. PLEASE phone well in advance to arrange a convenient time. 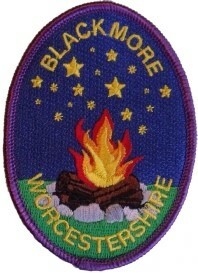 This version of the Blackmore Camp Badge has a new purple border. Blackmore round cloth camp blanket badge with Archery & Campfire. Miniature County Enamelled Pin Badge. This is a miniature replica of the official metal County Badge. The Worcestershire County Badge set on a white background. 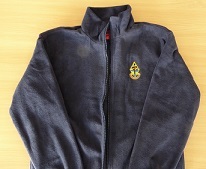 The Worcestershire County Standard cloth badge.